I'm a big fan of using micellar waters as makeup removers and over the past few years, I've tried my fair share of them. I've tried high end as well as good old drugstore bargains and the one that's come out on top is the Eucerin 3 in 1 Micellar Cleansing Fluid. Although the packaging looks a bit clinical, the product itself does an excellent job. It removes my makeup very effectively, including eye makeup, whilst still being very gentle on my skin. Its actually so effective at removing makeup that there's been many times I've used this and this alone if I've been too tired to do a 'proper' cleanse. I know, what a shocker! Before trying this cleanser I was one of those people that would have a good five cleansers on the go at once and would just grab the one closest to me to wash my face with. However, since discovering the Elemis Pro-Collagen Cleansing Balm, I've been pretty loyal to it. I love that its a balm as I find it gentle on my skin but also super effective - I apply it to a face full of makeup and it just completely melts it away. I add a splash of water so it turns milky, wipe the excess off with a cloth and my face is left super clean and soft. I don't get that awful dry feeling after using this product either - instead I find it hydrates and plumps my skin whilst cleansing it at the same time. Not to mention it smells divine - I feel like I'm at a spa each time I use it. I've actually nearly ran out of it and I'm GUTTED but its safe to say, I'll be buying a new tub! You'll probably notice quite the Elemis theme throughout this post but its for good reason - they're easily my favourite skincare brand of all time. I've never tried a product I haven't loved and I always see instant results when using their products. After cleansing with my Pro-Collagen Cleansing Balm, I like to apply a thin layer of this Advanced Brightening Even Tone Serum all over my face. Its very lightweight, sinks into the skin immediately without leaving a film of product behind and it makes my skin look brighter in seconds. I've been using it for a good few months now and have definitely noticed an overall improvement in my skin tone - there's less redness and its generally more radiant and clear. I love it! Earlier in 2014 I was introduced to the La Roche Posay Effaclar Duo+ and was told it was a great product to prevent breakouts and also treat them. I fortunately don't suffer with blemish prone skin but when I do have a hormonal or stress related break out, this product works wonders at calming them down and getting my skin back to normality. This is due to its ingredients such as Salicylic acid to exfoliate the skin, Niacinamide to soothe any inflammation and Ceramide which helps with pigmentation. Its very lightweight on the skin and makes a great base for makeup! Oh look, its Elemis again, surprise surprise! As I said, Elemis is definitely my favourite skincare brand so over the past year I've mainly been using their products to look after my skin. My moisturiser of choice for the past few months has been the Elemis Pro Collagen Ultra Rich Marine Cream and I'm completely in love with it. Despite its name 'Ultra Rich', its actually very lightweight and sinks into my skin instantly meaning I can use it both morning and night. However, just because of its lightweight texture, it certainly packs a rich moisturising punch. My skin feels so hydrated, soft and smooth after using this product and I haven't had much trouble with dry patches this Winter whilst using this product. It claims to boost skins hydration by 45% in only two weeks so if you suffer with dry skin, its one to try! The Body Shop is always somewhere I forget to shop but after a recent visit to their shop in The Lowry Outlet to buy Christmas presents, I now have a list as long as my arm of products I want to try. Whilst I was there, the lady serving me threw in a couple of free lip balms and although I wasn't expecting much from them, I've been very impressed. Other than tasting yummy, they're also really hydrating and make my lips feel really soft. I also love that the balm is very soft and easy to work with too - I hate those lip balms that you really have to dig your fingers in to the get it out of the pot. Not ideal! 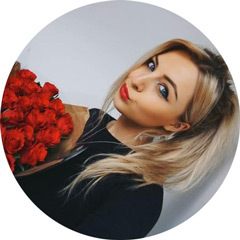 I've always been a big fan of the PRO:VOKE Touch Of Silver shampoo to eliminate brassy tones from my blonde hair but it wasn't until recently when I had a disastrous dye job that left me with orange tones that I realised just how amazing this shampoo actually is. I've tried my fair share of purple / silver shampoos in the past, all of which were a lot more expensive than this one, yet this is the best by a country mile. If you're a blondie and want something to get rid of brassiness and keep your colour looking fresh, you need to give this a try! I'm sure you've all heard me rave about this product numerous times now but it really is my favourite hair product of all time. I put a pump of Moroccan Oil through the mid to ends of my hair after every wash and its really helped my hair remain in a fairly good condition, despite me constantly abusing it with bleach / straighteners. It really is a bit of a miracle worker and despite its high price tag, I'd buy it again and again. Also, if you're struggling to grow your hair, this is the product for you. My hair is now down to my waist and I'm putting a lot of that down to this product! Amazing! The reason I love the Clynol Wonder 10 treatment spray so much is because its one of those great multi-purpose 'spray and go' products that I can spritz on and know its providing my hair with multiple benefits. It does everything from providing nourishment and shine as well as detangling and easier blow drying. If you're lazy like me and need a quick hair fix, this product is the one for you! I'm a big fan of the messy 'I woke up like this' hair that's full of texture and volume and this product helps me to achieve just that! When Charles Worthington released their Texturising Spray in 2014, the blogger world went mad for it and it was often named as a dupe for the more pricey Oribe texturising spray. With this being said, I clearly rushed out to buy one for myself to see what all the hype was about. Since then, its been my go-to product for adding texture to my hair, especially if I've just washed it and its looking a bit flat! As well as adding texture without the stiffness of a hairspray or stickiness of a cream product, it also smells incredible. I feel like it doubles up as a perfume for my hair. Win win! I never bought into shine sprays before trying this one as I always thought they were a bit gimmicky and a waste of money. Whilst I still don't think they're an essential hair product, this one from Orofluido really is fantastic if you want your hair to look super shiny. I mainly use this before a night out when I'm really going to town with my get ready routine and its the perfect finishing touch, especially if I've been using a lot of heat which can dry my hair out and make it look dull. Not essential as I said but a great product all the same. 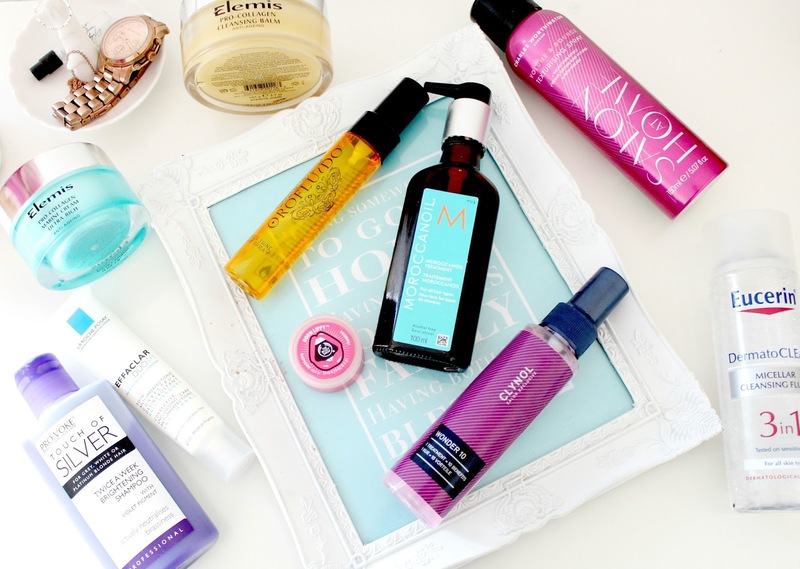 So there we have it, my 2014 skin and hair care favourites! Have you tried any of these? 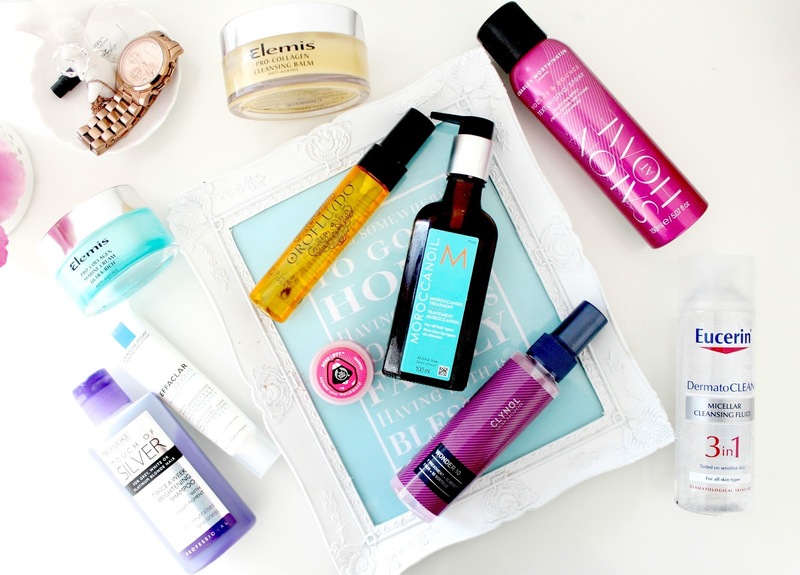 What are your all time favourite skin and hair care products? I love Charles Worthingtons texturising spray would definitely be up there amongst my favourite products of 2014 too! moroccan hair oil, every. time. The CW Texturising spray is a dream in a bottle. I have also featured it in my 2014 favourites! The purple shampoo is definitely the best one out there! The Effaclar is my holy grail atm! I always find your posts so interesting and helpful! I've tried a few of those products myself, I really need go start making more of an effort to be consistent with Moroccan oil, I'm a bit lax with it! I love moroccan oil! it is a life saver! Yees I notice everyones comments are about the moroccan oil but wow when I found it I was like where have you been all my life!! Some lovely picks. I want to try the Morcoon oil as it seems so popular. Moroccan oils is a life saviour haha. Great post! Lip balm fave twinning! Your photography keeps getting more wonderful each post, though! Great picks! I definitely want to try that Elemis cleansing balm and serum! Touch of silver is amazing and worked a treat on my hair! I've recently started using the La Roche Posay Effaclar Duo and I love it!